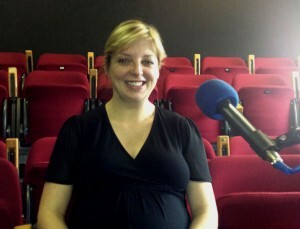 Irish playwright Elaine Murphy’s debut play, Little Gem, premiered at The Civic Theatre as part of The Dublin Fringe Festival in 2008 and played to packed audiences during its sell out run. The play won the Fishamble New Writing Award and a nomination for Best New Play at the Irish Times Theatre Awards before transferring to Edinburgh’s Traverse Theatre, where it won the 2009 Carol Tambor Best of Edinburgh Award. Shush, an Abbey Theatre commission, premiered in June 2013 and ran at The Civic Theatre from the 23rd to the 29th of July, 2013. This entry was posted on July 10, 2013, 12:50 pm and is filed under Civic Theatre Sessions. You can follow any responses to this entry through RSS 2.0. You can leave a response, or trackback from your own site.